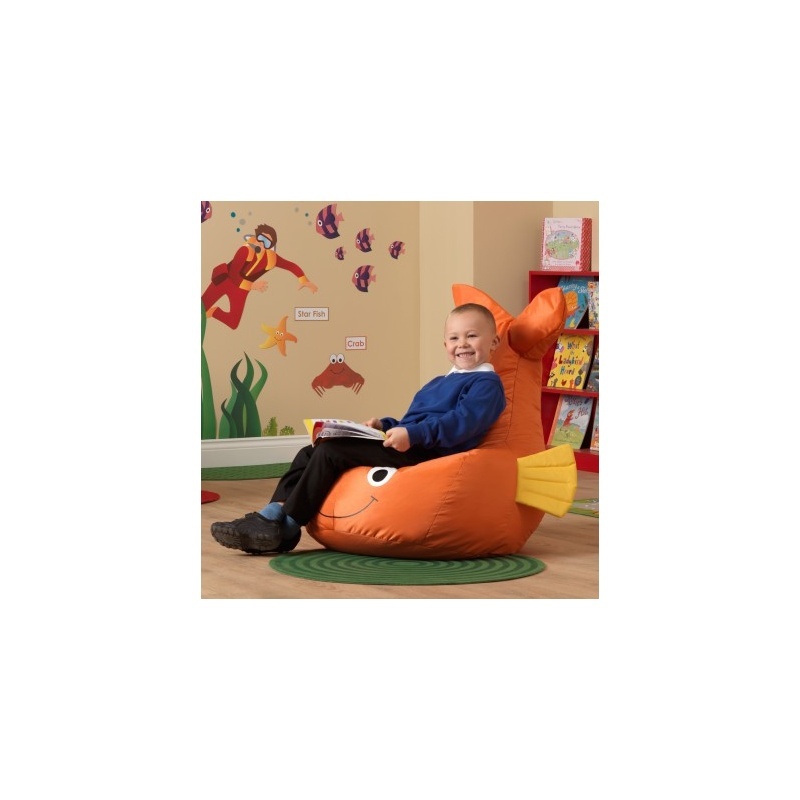 This unique Fish shaped bean bag chair provides a comfortable seat with the added comfort of back support – ideal for sitting back, relaxing and reading a book. 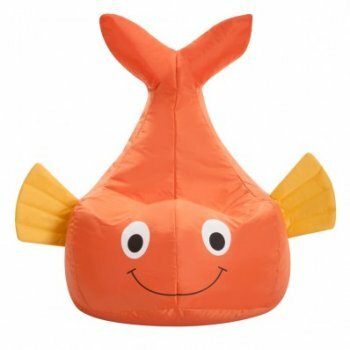 The 'Under the Sea' Fish bean bag is also a great imaginative play aid for young explorers. 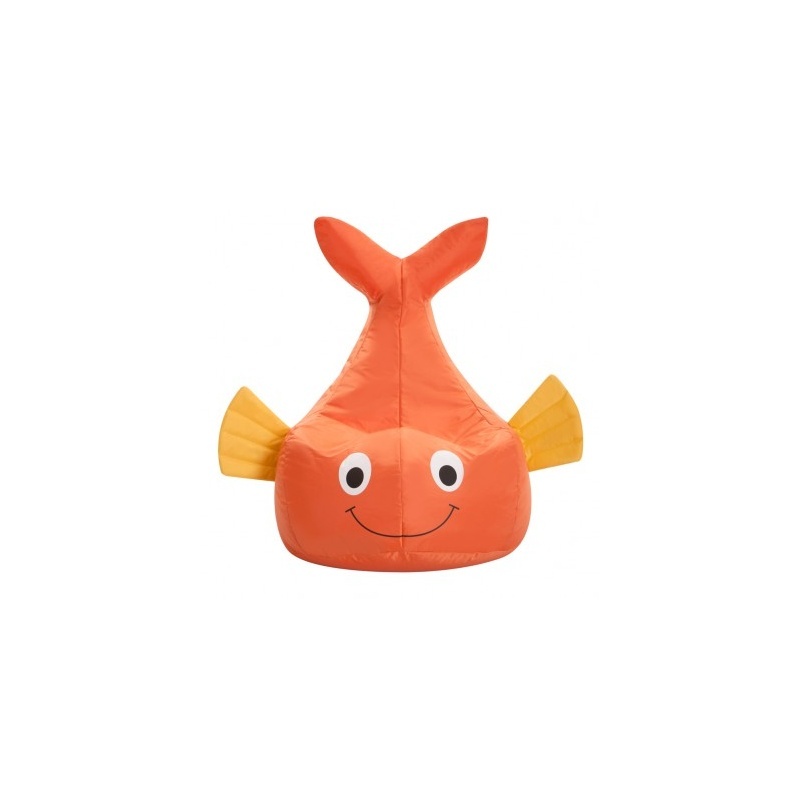 The Fish bean bag is a fun teaching aid to enrich your childs' learning experience and large enough even for a teacher to rest on. Ideal accessory as part of a 'seaside' themed learning display and encourages experiential learning - make the environment become part of the lesson! 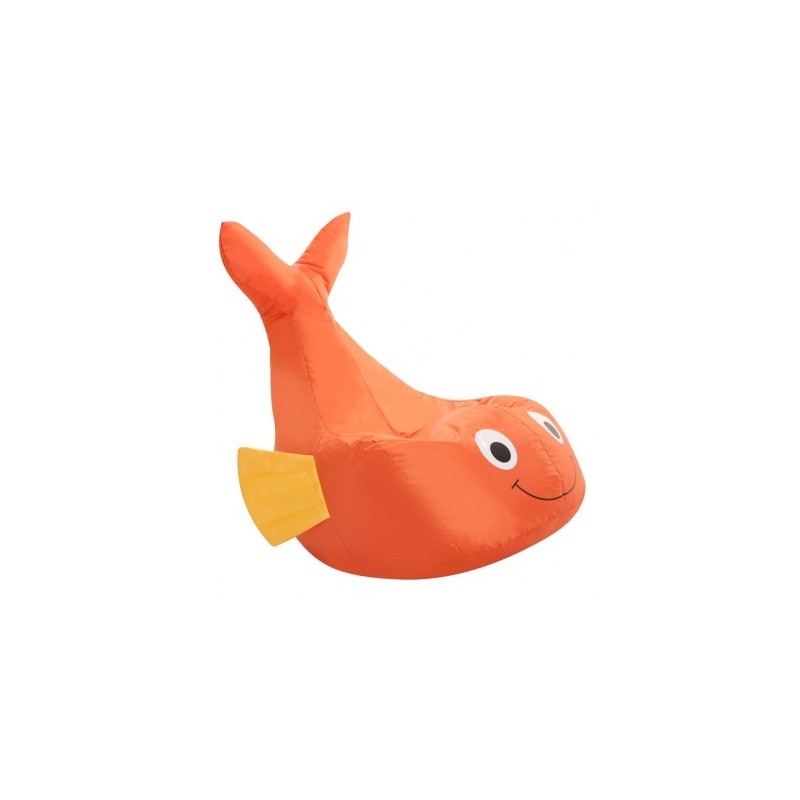 · This bean bag is direct filled with no inner liner. The reason for this is an inner liner can restrict the movement of the beans and effect the overall comfort of the product. · It has a concealed external zip head cover pocket to enable adults to push the zip head away and help deter children from accessing the zip. We would recommend to ensure that the zip head is pushed fully into the cover pocket before giving the product to children. · All bean bags feature an extra internal zip for security of the beans, so if the outer zip is opened the beans will not come out of the bean bags without opening the secondary zip. If returns are required for non faulty items Learning SPACE must be informed within 14 days. This return may be subject to a collection fee.